Gowanda's Hollywood Happening 2018 - 20th year of this Motorcycle Event! Every spring thousands of people travel to Gowanda to look at the rows of motorcycles that line the closed main street, enjoy the music and the food and celebrate the beginning of bike season in Western New York. It’s an event with no gate fee. 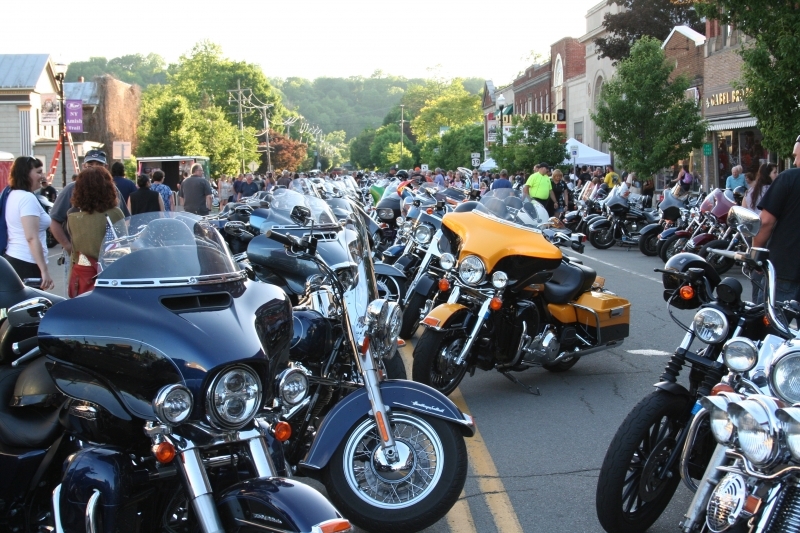 The three-day event includes a number of attractions, such as the Bike Parade that leaves the Gowanda Harley Davidson dealership on Friday night and ends in town for the opening ceremonies. A tattoo contest, Ride-in Bike show and the Hollywood Happening Charity Ride are just some of the other attractions that can be enjoyed over the weekend. Enthusiasts can partake of the number of food and product vendors on-site, or simply sit back and listen to the live bands that will play throughout the weekend. Allstate tent on Main St. Featured Daily- Rhett Rotten’s Wall Of Death Motorcycle Stunt Show sponsored by Gowanda Harley Davidson. 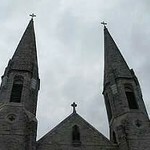 Shows- 1:00pm, 3:00pm, and 5:30pm- Center St. Featured Daily Rhett Rotten’s Wall Of Death Motorcycle Stunt Show sponsored by Gowanda Harley Davidson. Shows- 12:00pm, 1:30pm, and 3:00pm- Center St. So, come and join the countless others who have enjoyed the Hollywood Happening and who have helped in the efforts to restore the Hollywood Theater to her 1926 splendor. For more information on the Hollywood Theater, please visit GowandaHollywoodTheater.com.